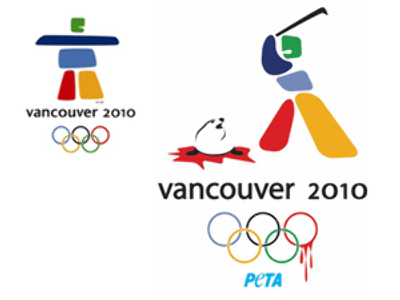 Vancouver 2010: what’s in store for the Winter Olympics? With the 2010 winter Olympic Games less than a year away, host venues Vancouver and Whistler are set to welcome thousands of athletes and guests. The Olympic spirit entered Canada long before the Games are due to start. The country and its citizens experienced a major transformation once their beloved city won the bid to host an Olympics. Since 2003, Canadians have been working very hard on making their Winter Games a thrilling success. And both host venues Whistler and Vancouver look to be all set to welcome arguably the most spectacular show of athleticism in the world. Media relations director of Vancouver 2010 Winter Olympics, Mary Fraser, said the upcoming games presented a real challenge to the organizers. “We have opportunity for our managing teams to really test our operational readiness for Games time. So, we have all our sport facilities tested,” she said. While the financial return on the Olympic investment might be minimal to nothing for the organizers, local businesses are the ones hoping to cash in on the inflow of tourists. Picturesque British Columbia is already used to seeing a couple of million visitors a year but the financial downturn marches on, raising fears of slashed revenues. “Financially, as far as the general retail goes in town, we expect it to drop a little bit next year. But as far as for the Olympic paraphernalia, all the things that people want to take home after they came and watch the Games – that is going to boost the economy here for sure,” says Whistler store manager Carlos Strachan. The Olympic Games are usually a two-to-three week celebration of different cultures in one location. It's only natural that such a concentration of people might cause concerns among some of the local residents. “Obviously, when you live here you like to be in the calm and not be stressed. So, that is why I maybe will go away to get away with that but I think that is very good for the village to get involved. There are a lot of people that are nervous but much more people like it,” Whistler resident Eric Leiva Ramirez said.